Liverpool have rewarded Andy Robertson with a new five-year deal, contracting him to the club until 2024 . Robertson has been a mainstay in Jurgen Klopp‘s side since breaking into the first team in late 2017 after his £8 million summer arrival from Hull City. After being temporarily held back by his manager, the Scotsman has gone on to quickly establish himself as a key member of a Liverpool side pushing for the Premier League title this season. 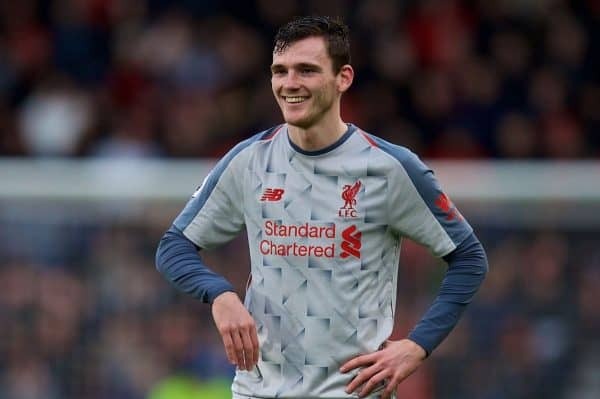 Robertson’s defensive reliability and attacking prowess down the left-flank has become integral to the Reds’ style of play, and his importance to the team has been duly noted by the club. Liverpool confirmed that the deal had been signed on Thursday evening, shortly after media reports emerged that the contract had been agreed. The left-back now joins a long list of key players to commit the prime years of their career to the club, following on from Joe Gomez and Sadio Mane as well as Roberto Firmino and Mohamed Salah to have penned a new deal in the last year. It comes as a remarkable moment in Robertson’s Liverpool career, having gone from a player omitted from matchday squads altogether to being one of the first names on the teamsheet. The exponential rise of the Scotland captain, who still had two-and-a-half years remaining on his current deal, is another transfer success story for the Reds and he has justified every penny that was spent. 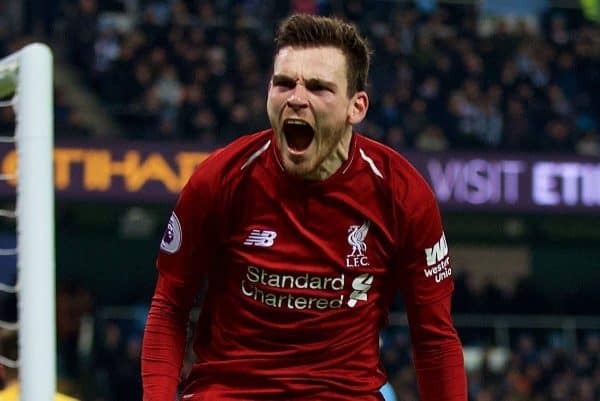 Robertson has featured in all but two of Liverpool’s 22 Premier League fixtures to date, helping to keep 13 clean sheets whilst also showing his worth in the final third having contributed four assists. An appearance against Crystal Palace on Saturday will also mark his 100th in the Premier League.